With every venture, every task, every activity, every relationship there is the possibility of failure, of it ‘not working out’. This possibility is more likely with new ventures and new activities. Am I alone in finding this scary? Of wanting the future to be known and certain before I even start? Setting up my own business and being self-employed for the first time is challenging. I ask myself “What if this fails? What if I fail?” With new activities and new relationships I ask the same question. Failure feels like a deep pit into which I could fall, never to resurface. And emotions are not always logical. Failure feels like a message telling me I have no worth and I am not good enough. I believe this to be a message learned from an academic school for which exam results were everything. Competition was instilled into us from an early age. In the past, my fear of failure was terrifying enough to cause me to delay. I delayed leaving my old corporate job, out of fear that I might get the next thing wrong. I delayed until I almost had no choice. Fear of failure has stopped me from trying new things, in case I am no good at them. There is a cost to having this perspective on failure. Past experience has taught me I don’t die when I fail. This sounds kinda obvious, yet sometimes it can feel that dramatic. I failed my Chemistry exam when I was 15 (and decided to give up the subject). I failed my driving test first time round (and went on to pass on my second). On a more serious level, my marriage failed. Yet I learned so much about myself and what I want from my life. Failure provides the opportunity for learning and new growth. I recently attended a salsa class. I was worried about being such a slow learner that it would be humiliating; worried that I would ‘fail’ the class. In the end I decided to go and have fun, irrespective of whether I learned salsa as fast as everyone else. I risked failure, realising that my worth as a human being did not depend on whether I was a quick learner of salsa. In this case, failure simply didn’t matter.It was a brilliant class, I wasn’t the worst (!) and I had a great night. 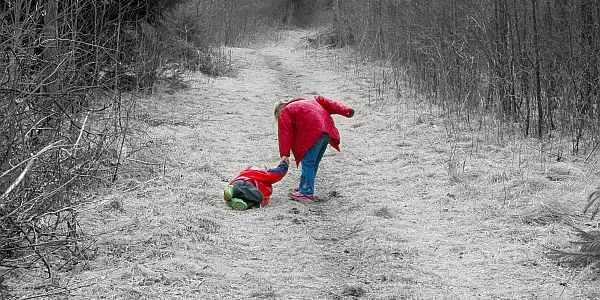 When I think of a toddler learning to walk, no one counts the number of times she falls over, least of all the toddler. She is not a failure if she takes longer to learn to walk than her little friend. What counts is her courage to continue. Her enthusiasm for learning to walk is not diminished by falling over, by failing. In business speak, this is failing forward, a failure that is actually part of the journey on. As an adult learning a new sport and learning a new skill involve a long series of getting it wrong before getting it right. I am learning that there is more than one way to look at failure. ACTION CHALLENGE: What is the impact on your life of the fear of failure? Where could you risk failure or even aim for failure in order to move your life on? This entry was posted in fear, putting pressure on myself and tagged failure, fear, fear of failure, part-time, Winston Churchill on 29 September, 2008 by Rosalyn. Failing in making a painting often leads to a growth curve–hard at first, but so great later on! Thank you Rosalyn, for the reminder that failure is positive, growthful. Rosalyn, this is a fantastic article! the question about where I might AIM for failure -ohmyword. What you said about the toddler learning to walk made me remember the crazy way my granddaughter learned to walk over uneven surfaces: if she fell or stumbled when she encountered an uneven surface (and this was RIGHT in the beginning of learning to walk) -she’d turn around and walk over it again. and again. and again. Until she didnt’ stumble or fall. I giggle about that now and then – remembering how she’d test herself. But I never thought of it being her willingness to fail – to FALL FORWARD…so cool! for me – let’s see – definitely a physical thing. Not Salsa, my word, I’d need a heart transplant to gather THAT much courage. But yoga in a class! And now I’m smiling, remembering that a bunch of years ago I tried Tai Chi in a class– only attended one, but felt so good about NOT thinking about how I looked, whether I’d fail – just doing it. Again – Ros – this article is incredible!!! thanks!! Rosalyn, what a great article, and what a great reminder that failure is part of learning. Sometimes I’ve known such a fear of failure that it paralyses me from moving in any direction. I get stuck. Then I realised that that paralysed position was worse than trying something and risking failing at it! Now I’m trying teaching. I’m a cover supervisor in a school. I’m learning every day, but I’m so enjoying the new challenge. Thank you for your encouragement. I find that the latter definition influences me to prepare and preparation seems to cancel the fear of failure. Thanks for sharing your experiences with us. what does not kill you just makes you stronger. I just need to keep that in mind when I go about my day.